Types of Fishing that the Bad Boyz III fishing crew offer you. Bad Boyz II Charter simple amazing fishing ! General fishing is a mix and match day where you may spend some time drifting and then followed by an anchor session depending on what your targets are for the day but often 15-20 species is a general day afloat. Holyhead can offer fantastic sport with a large variety of venues available to use on all states on tides. 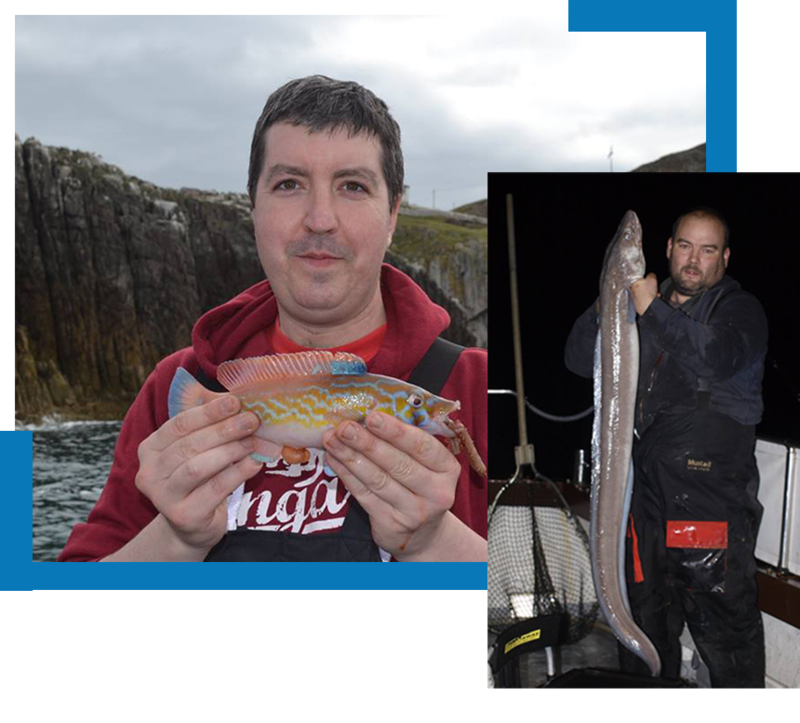 If your drifting the main targets are Ballan / Cuckoo Wrasse, Pollack and Coalie with mackerel and mini species making up numbers. Anchor can be spent anywhere from the local mud and mussel banks or out to the famous Holyhead Deeps, both marks having there targeted fish. Winter time can produce good congers on many of the wrecks around the area.